Our bodies have hormones that regulate every aspect of metabolism, and that includes appetite and weight regulation. Several hormones have been discovered that affect the development of obesity; one of these is ghrelin. Simply stated, ghrelin is a hormone that stimulates appetite. Thus, anything that increases ghrelin levels will increase appetite, and this can lead to weight gain and obesity. Ghrelin is produced mainly by the stomach and duodenum. It has been found to play a role in what is known as meal-time hunger, as well as in the regulation of weight gain and loss over the long run. 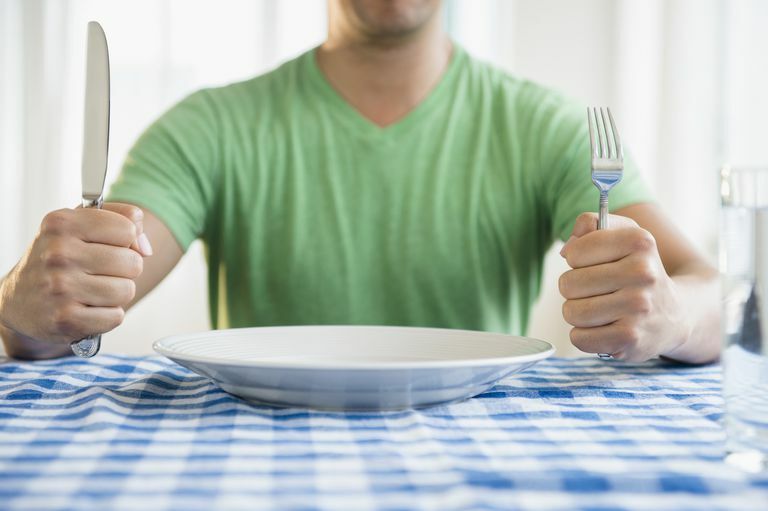 Ghrelin is sometimes thought of as leptin’s counterpart because leptin (another appetite-regulating hormone, produced by adipose tissue) suppresses appetite as its levels increase. When researchers discovered that infusing ghrelin into rodents stimulates them to feed and actually produces obesity in these rodents, interest grew in defining what ghrelin could play in the obesity epidemic in humans. Researchers have discovered a number of behaviors and factors that can either increase or reduce ghrelin levels in the body. One behavior that increases ghrelin levels is not getting enough sleep. Over the long term, getting less than the recommended seven to nine hours of uninterrupted sleep on a regular basis can lead to increased ghrelin levels—which translates into a larger appetite, more calorie intake, and weight gain. In contrast, getting enough sleep every night reduces ghrelin, and thereby reduces appetite. As it turns out, there is a biological reason for the insomnia-induced “midnight munchies,” after all! On the dietary front, intake of highly refined carbohydrates, particularly in the absence of sufficient protein and fiber, can trigger increased ghrelin levels, because it is the protein and high-quality fiber that can reduce ghrelin levels to the point that the human brain gets the signal that the body has eaten enough and tells the body, via a satisfied appetite, that it is okay to stop eating. This is also why many find it possible to eat potato chip after potato chip or a lot of highly refined white bread without really feeling full—such foods do not contain enough protein or fiber to turn off the ghrelin signals to the brain. In other words, with intake of refined carbohydrates, because the brain has not gotten the signal that the body has received enough essential nutrients, it allows the body to go on eating, via an unsatisfied appetite. Ordinarily, ghrelin levels should increase prior to meal time (letting you know it is time to eat), and decrease after meal time. However, consumption of refined carbohydrates, as noted above, can disrupt this normal flow. As might be gleaned from the discussion thus far, behaviors generally associated with healthy lifestyle and healthful eating can keep ghrelin levels in check. These include eating fruits and vegetables and other high-fiber foods (such as whole grains); eating meals that are high in nutrients (as fruits and vegetables are, as well as foods that provide complete proteins); and getting enough sleep. Results are still inconsistent regarding whether or not gastric bypass surgery actually produces a decrease in ghrelin. Cummings DE, Weigle DS, Frayo RS, Breen PA, et al. Plasma Ghrelin Levels After Diet-induced Weight Loss or Gastric Bypass Surgery. N Engl J Med 2002; 346:1623-1630. Klok MD, Jakobsdottir S, Drent ML. The Role of Leptin and Ghrelin in the Regulation of Food Intake and Body Weight in Humans: A Review. Obes Rev 2007; 8:21-34. Tschop M, Smiley DL, Heiman ML. Ghrelin Induces Adiposity in Rodents. Nature 2000; 407:908-913. Mozaffarian D, Hao T, Rimm E.B., Willett W.C., et al. Changes in Diet and Lifestyle and Long-Term Weight Gain in Women and Men. N Engl J Med 2011; 364:2392-2404. Why Is Cortisol so Controversial for Weight Loss? Is SAD Causing Your Winter Weight Gain? Are Your Medications Making You Gain Weight? Could Gene Therapy Be Used to Treat Obesity?